In most cases, dental treatment and dental implant abroad is a smart choice for patients, who want to save money on treatments, but it’s very important to choose the most appropriate country and a reliable, professional clinic. Why choose Hungary for your dental implant abroad? Firstly, Hungary has a great cost-benefit ratio. Even with the price of the flight ticket and accommodation, the savings are estimated to be between 40% and 70% on average depending on the complexity of the treatment. Amongst numerous dental tourism destination countries Hungary is one of the most significant ones from the very beginning due to its ideal location and the internationally recognized high standards of dentist education. Budapest is easily accessible from any European country by direct, low cost flights that takes maximum 3 hours. 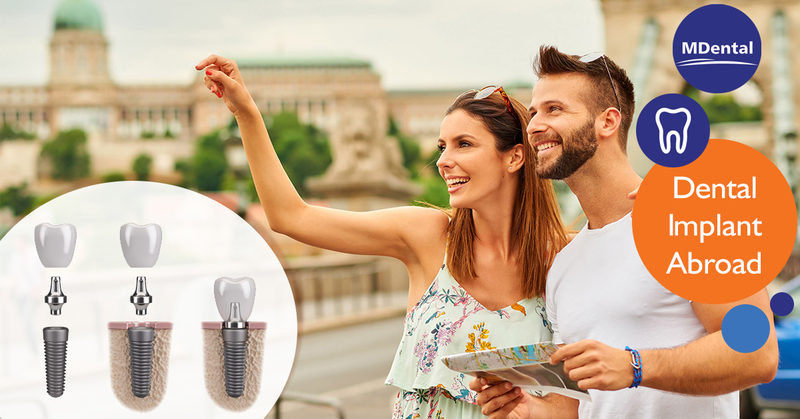 Why choose MDental Hungary for your dental implant abroad? MDental Clinic Hungary offers premium quality, comprehensive services from simple dental treatments to complex oral surgery, implantation, bone grafting and sinus lifting procedures at affordable prices, all provided by specialists. Our team work with selected materials, only from well-known and prestigous suppliers to guarantee you the highest quality. We offer all inclusive services (reservation management, medication packages, free transfers) and comprehensive treatment plans within 24 hours based on X-ray. MDental clinic is well equipped. It consists of eight dental treatment rooms, including three dental surgery room in which our specialists use the latest technology, one X-ray room with digital X-ray devices, one sterilization room, two exclusive waiting rooms and one VIP waiting room. We are pleased to present You our dental clinic in advance, with the help of our picture gallery and 3D virtual tour. Save 50-70 % on your cost of dental implant abroad at MDental Clinic in Hungary! Visit our implant dentistry and cosmetic dental clinic in the heart of Budapest.